Completely remodeled! New kitchen, granite, appliances, baths and wood look porcelain floors. 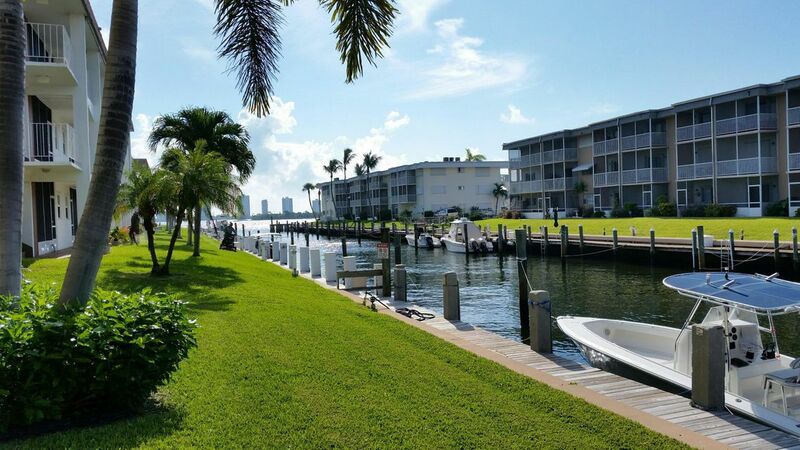 Boaters paradise- seconds to intracoastal. Windows are hurricane impact. Patio doors are not impact and have tracks installed for shutter panels. The last remodeled unit sold in 8 days for $220K. Act fast! Slips to 36 FT lease for $1 per ft. All slips are currently leased but this could change any time. Condo cannot be leased the first year. Pets restricted to ''emotional support animals'' and ''service dogs'' only.